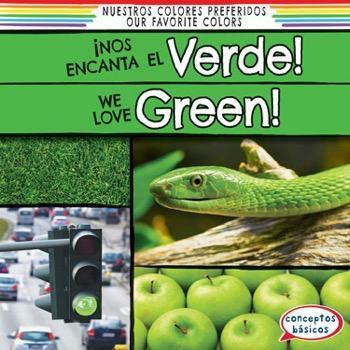 ¡Nos encanta el verde! / We Love Green! Grasping the concept of colors is an important step in early education. In this book, readers can dive into the color green through vibrant photographs and bright text. Turtles, snakes, grapes, leaves, and more familiar objects aid them in both understanding varying hues of this color as well as recognizing vocabulary words of the depicted items. The end of the volume provides an opportunity for evaluation.